WILLEMSTAD, Curacao — The highly-anticipated second annual Curacao North Sea Jazz Festival will headline world-famous musicians Sting and Stevie Wonder, who will respectively open and close this year’s event, September 2-3, 2011. The Festival returns with another year of A-list performers, including Dionne Warwick, Earth, Wind & Fire and more, for a first-class jazz and blues concert series, incorporating an eclectic mix of salsa, Latin, pop. The Festival will again be held at the World Trade Center Curacao in Piscadera Bay. Singer-songwriter and 16-time Grammy award-winner Sting will headline the festival, kicking off the weekend with a performance on Friday, September 2. Sting made his debut in music as the lead singer and bassist of the rock band The Police. As a solo musician since 1985, he has evolved into one of the world’s most distinctive and highly respected performers. Stevie Wonder, confirmed to be the closing act of the Festival, is sure to draw fans with his legendary, soul-moving performance. With his nearly 50-year music career, Wonder is a timeless icon and inspiration for many other artists. Wonder’s 25 Grammy Awards, Academy Award for “I Just Called to Say I Love You,” and prestigious Lifetime Achievement Award make him a coveted act for the Festival. Other performers at the Festival include Dionne Warwick, Earth, Wind & Fire, Ruben Blades, Roberto Fonseca, Juan Luis Guerra, Terence Blanchard, Chic featuring Nile Rodgers, Poncho Sanchez, Danilo Perez Trio, Levi Silvanie, Chucho Valdes Afro Cuban & Messengers and Ronchi Matthew, providing an impressive line-up of jazz, soul, rock and Latin music. In the week before the Festival, concerts are held on various locations on the island, including the popular party spot, Mambo Beach. Last year’s Curacao North Sea Jazz Festival, was a spectacular success for the island, selling 18,000 tickets to crowds of locals and visitors during the two days of the Festival. Memorable performances from artists John Legend, Lionel Richie, Natalie Cole, Simply Red, George Benson, Sergio Mendes, and more wowed the audience. 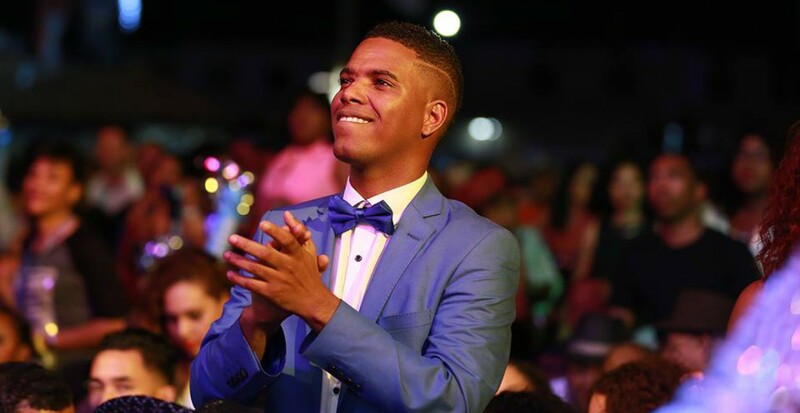 Travelers heading down to Curacao for the Festival can expect lively pop-up concerts and events by local Curacaoan performers during the full week prior to the Festival. There’s no question that Curacao knows how to throw a good party, having recently been named one of the ‘Best Islands in the Caribbean for Bar-Hoppers’ by The Huffington Post. Day tickets for the 2011 concerts start from only $185. Curacao is now more accessible than ever with twice weekly nonstop flights on Continental Airlines from Newark, as well as twice daily flights on American Airlines from Miami. The island’s local carrier, InselAir, also services Curacao with one flight, Sunday through Friday, from Miami. Initiator Gregory Elias is extremely honored that he can announce that Stevie Wonder comes to Curacao to be the closing act of the festival. Stevie Wonder is, with his enormous music career, an icon and inspiration for many other artists. Stevie Wonder’s amazing music career has brought him 49 Top 40 singles, 32 number one hits, an Academy Award for I Just Called to Say I Love You, 25 Grammy Awards and a prestigious Lifetime Achievement Award. His participation in the massive “We Are the World” campaign against famine in Africa in 1985 was a milestone in the music industry. Also his involvement in fighting apartheid in South Africa is much praised. Monday the festival starts at the Brionplein with a free concert by Los Van Van. On Thursday Eliane Elias plays at Brakkeput Mei Mei. September 2 & 3, 2011, World Trade Center, Piscadera Bay, Curacao. Next Oprah Winfrey tops in the TIME 100 TV’s most influential again.